Kunming offers 8 night markets popular among locals. They are located in different districts, Wuhua District, Guandu District, and Panlong District. All the markets feature various types of local authentic cuisine. 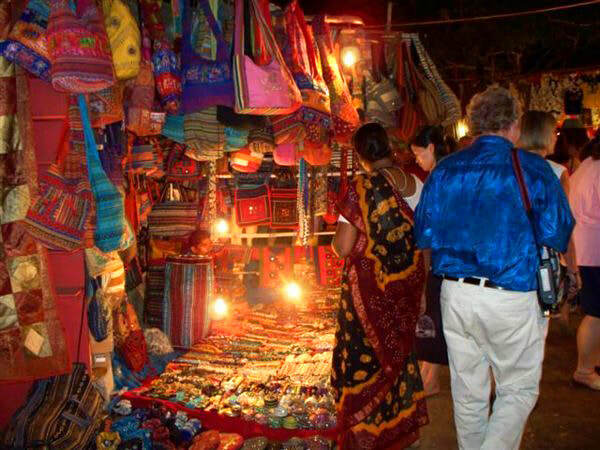 Several night markets are close to colleges. If interested, you could explore them to experience the night life of local undergraduates. Shuangqiaocun Night Market (双桥村夜市) is situated in Guandu District. It is always crowded around the year. At the market, you could not only enjoy local food, such as fried crossing the bridge noodles, Gross blood in Mong Kok, delicious hot pots and fried field snails, but also can see locals bargaining for the clothing there. Most of the shops at the market are closed at 01:00 am while several shops are open for 24 hours. If you would like to experience the campus night life in Kunming, it is suggested that you discover the Snack Street of Business College on the Haitun Road. The street is the favorite one to the undergraduates in Kunming. If you love pubs, you could visit Wenlin Street (文林街). The street is much quieter than other night markets in Kunming. It is a combination of cafes, bakery’s, and bars with different themes. Wenhua Lane (文化巷) enjoys a good reputation among foreign visitors, offering a variety of Yunnan food, such as toasted tofu, hot and sour rice noodles, and the like. If you are looking to a nigh market where you can enjoy local food and immerse yourself at a bar, you could explore Jindaoying Night Market (金刀营). The best time to visit Kunming Night Market is from 8pm. As the 8 night markets are in the city of Kunming, you could take a bus or rent a vehicle to them. Please take care of your valuables at the night markets. Interested in visiting the Kunming Night Market on a Tour? Wendy Wei Tours offers a variety of different packaged tours as well as custom tours including the Kunming Night Market, among other attractions and destinations. To find out more, please visit our Tours page or Contact Us directly to find out more.